The family of a 28-year-old Spanish woman who died here six years ago has settled High Court actions over the care she received at Kerry General Hospital. Tattoo artist, Rosa Gonzalez Valesco, died after an alleged failure to diagnose and treat her rare cancer on a timely basis when she sought help for a swelling on her jaw. It was contended the cancer was misinterpreted as Tuberculosis (TB). 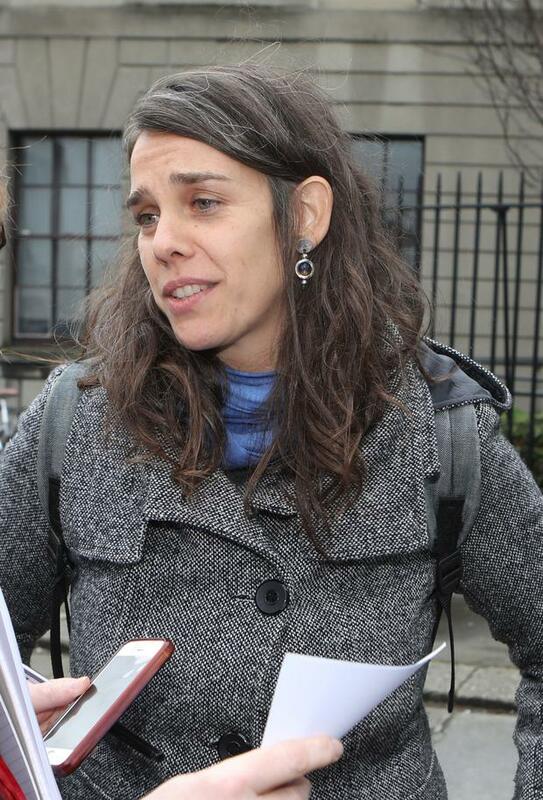 The young woman’s mother and partner on Tuesday settled their actions against the HSE, which denied all the claims. Ms Gonzalez Valesco died six weeks after she first sought help at Kerry General A&E at the end of October 2013. Oonah McCrann SC, for the family, said she had been living in Ireland and became aware of a lump on her neck and jaw and went to Kerry General in Tralee. Counsel said her side contended had the cancer been diagnosed, she could have had chemotherapy immediately and it would have altered her prognosis to five years or may have been curative. Her family were reassured by the diagnosis and did not rush to her bedside and as a result they felt they lost precious time. In the two cases, her partner of six years, Ms Cristina Garcia Garcia, sued for nervous shock over her death and the deceased's mother, Isabel Velasco Cobaleda, from Seville, sued over the circumstances of her daughter’s care. The terms of the settlement are confidential and the cases were struck out. There was, it was claimed, a failure to diagnose and treat her cancer in a timely basis and an alleged failure to identify alleged malignant cells in the core biopsy. An incorrect diagnosis of TB was made, it was claimed. Ms Gonzalez Valesco had attended a GP in late September 2013 complaining of swelling in her left jaw and antibiotics were prescribed. She suffered continuous swelling and attended Kerry General on October 31, 2013. She had an ultrasound and chest x-ray. She later had a CT scan which showed up lung lesions and she later had a biopsy and TB was suspected. In November 2013, she was told she would need to undergo further investigations. On December 2, the woman had a Mantoux test which was negative for the presence of TB. Her condition worsened and she was transferred to a Cork hospital where she remained in isolation until it was decided on December 12, 2013, she did not have TB. She continued to deteriorate and suffered three cardiac arrests on December 16, 2013 when she died, it was claimed, due to a rare cancer called advanced widespread histiocytic sarcoma. In a statement outside court, Rosa's mother and partner said they were glad there was a successful outcome to the proceedings. "It is a pity it has taken so long. We would hope the Irish health system will communicate better with families of ill patients in the future," the statement said.